When I’m not writing about sports teams and bird logos, birding ephemera, or stumbling into first state records, I’m helping protect Civil War-related national parks with the non-profit National Parks Conservation Association in DC. Like any obsessive birder, of course, I’ve found a way to make birding part of the job. While Civil War-related national parks are recognized for their historical importance, their ecological significance is often overlooked. It’s a real shame, though, because these battlefields can be a real haven for wildlife and are often located in parts of the country that don’t otherwise have a lot of preserved land. Back in the fall, I took a look at the map of Audubon’s Christmas Bird Count circles and found where those circles overlapped with Civil War-related national parks. I found more than 20 such overlaps nationwide, and then asked the birders performing those counts to keep track of the birds they found within park boundaries. Gathering this information helps give us an idea of the variety of birdlife found on these national park sites and helps remind us that conserved land is a potential birding hotspot. The results have been exciting. Before the counts, I was hoping to break 100 species, but after 21 parks reported data back to me we’re up to 183 species! I underestimated how much the wide geographic distribution of Civil War-related parks would affect the count totals. 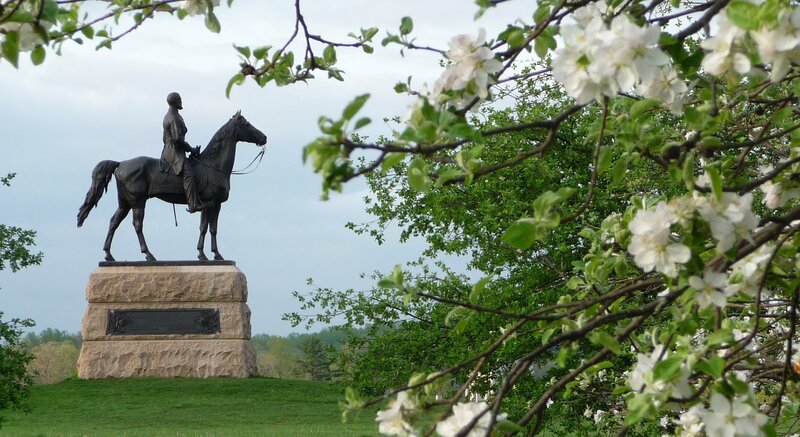 While the most iconic battlefields are in the Mid-Atlantic, including Gettysburg, Petersburg, and Antietam, the impact of the war spanned the country. For example, the San Juan Islands National Historical Park in Washington State was an active Union camp throughout the war. Fort Davis National Historic Site, in west Texas, just north of Big Bend National Park, served as a crucial supply depot for the Confederate’s Second Texas Mounted Rifles before being retaken by Union troops in 1862. Both of these places, as you can imagine, had some great birds to see. With the 150th Anniversary of the Civil War upon us, I wanted to share some of my Birding the Battlefield results and hopefully spur some of you to get out and enjoy these natural treasures for both their historical significance and their natural beauty. Check out our interactive map to see all the parks that participated and their best birds. Enjoy! Antietam National Battlefield, MD – The battle was fought in western Maryland in September 1862 and resulted in 23,000 casualties. The Battle at Antietam was the single bloodiest battle in American history. The lovely ladies of the MD Ornithological Society (with me in tow!) found 36 species, including Killdeer (in December! ), Kestrel, Northern Harrier, Great Blue Heron, and Wild Turkey. Scotts Bluff National Monument, NE – During the War, Native American raids prompted the U.S. Government to set up several forts, including Fort Mitchell in western Nebraska. Scotts Bluff birders found nine species, including Townsend’s Solitaire, Black-billed Magpie, Prairie Falcon, and count week Gray-crowned Rosy-finches. Vicksburg National Military Park, MS – The capture of the city of Vicksburg in 1863 gave the Union army unfettered control of the Mississippi River, cutting the Confederacy in half. Birders at Vicksburg counted 45 species, including Snow Geese, Barred Owl, Brown Thrasher, 152 Yellow-rumped Warblers, Fish Crow, and Eastern Towhee. Marsh-Billings-Rockefeller National Historical Park, VT – Woodstock, Vermont sent many soldiers to the front lines, and today “homefront tours” are given at the park to show what life in a small northern town during the War was like. Birders at Marsh-Billings-Rockefeller National Historical Park saw 20 species, including the count’s only Black-capped Chickadees, Pine Siskin, Ruffed Grouse, and Red Crossbills. 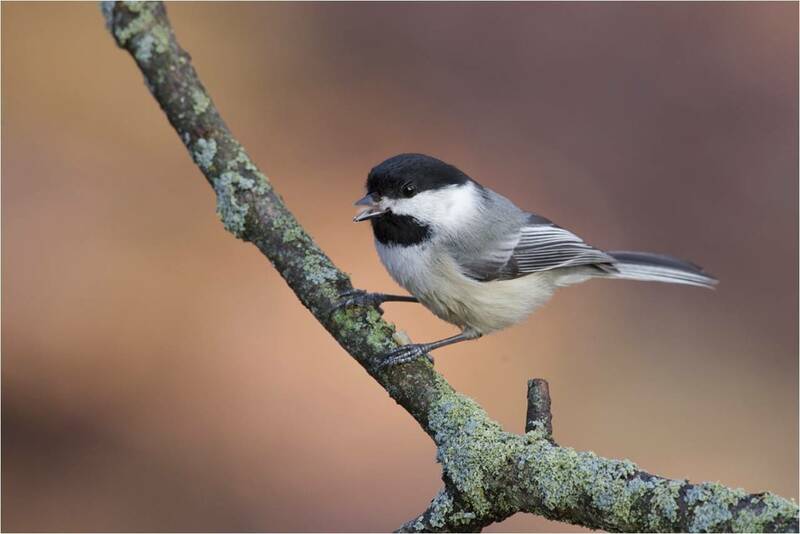 Black-capped Chickadees were only seen at one participating park. I wonder if Union soliders heading south knew they had entered Carolina Chickadee territory? Jon Dunn has been running tours called Birding the Civil War for several years now, and I’ve already got registrations for the first in my new series Birding the American Revolution. Clearly an appealing combination for many birders. The last time I was at Gettysburg, I watched a Red-headed Woodpecker from Little Round Top and listened to Eastern Meadowlarks singing around the big Pennsylvania monument. One of the better birding sites in New Jersey isn’t a battlefield, per se, but it’s war-related and in the National Parks System: Sandy Hook, the site of numerous gun emplacements to protect New York Harbor. Gettysburg used to sell beautiful postcards of an Eastern Bluebird perched on the mouth of a cannon. Sandy Hook has a very interesting Revolutionary War history. 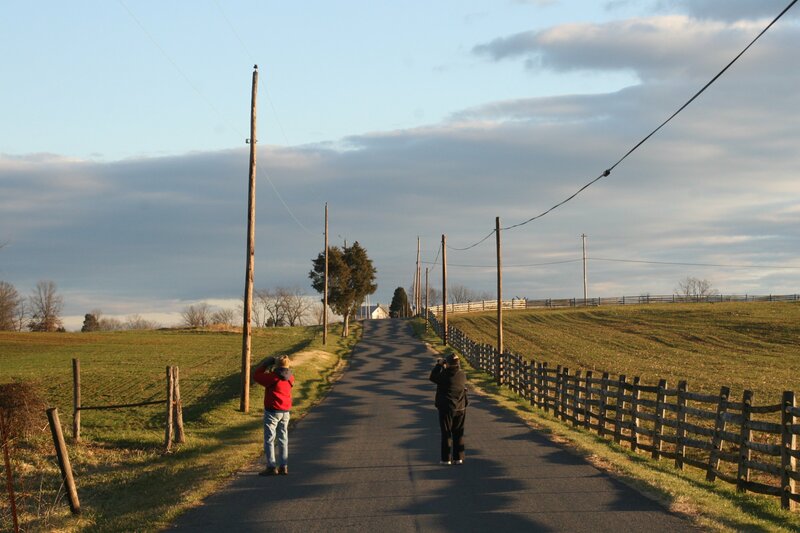 Where Are You Birding This Second Weekend of March 2012? What’s In the Freezer for Tonight?